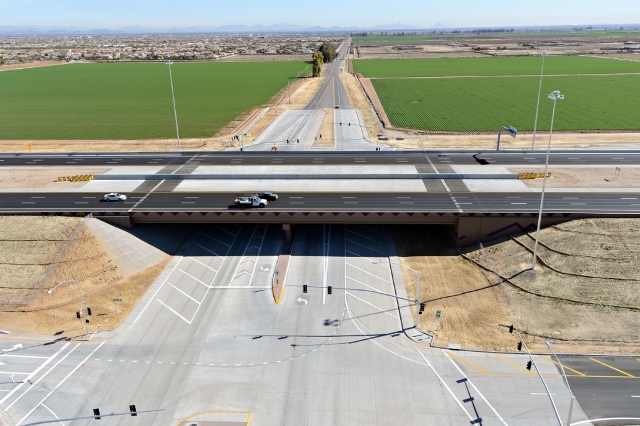 Arizona Department of Transportation’s roughly $80 million SR 303L, Glendale Avenue to Peoria Avenue loop in Maricopa County added capacity and improved safety for to an existing highway $8.5 million under budget. The project expanded the highway to accommodate current and future traffic needs while separating itself from a railroad crossing to improve safety. The project also completes a connection between two major interstates in the Phoenix metropolitan area.